Think a Mediterranean ferry experience sounds like a dream, magical even? 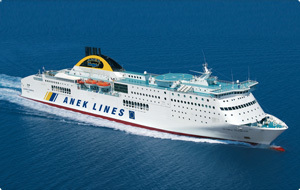 Take a look at the Anek Ferry website and images of smiling faces, taking in the sun and sea greet you, drawing up enticing images in your mind. If this is what you expect, then you should familiarize yourself with a few other realities of this "experience". This is our story from our overnight trip from Patras to Ancona.